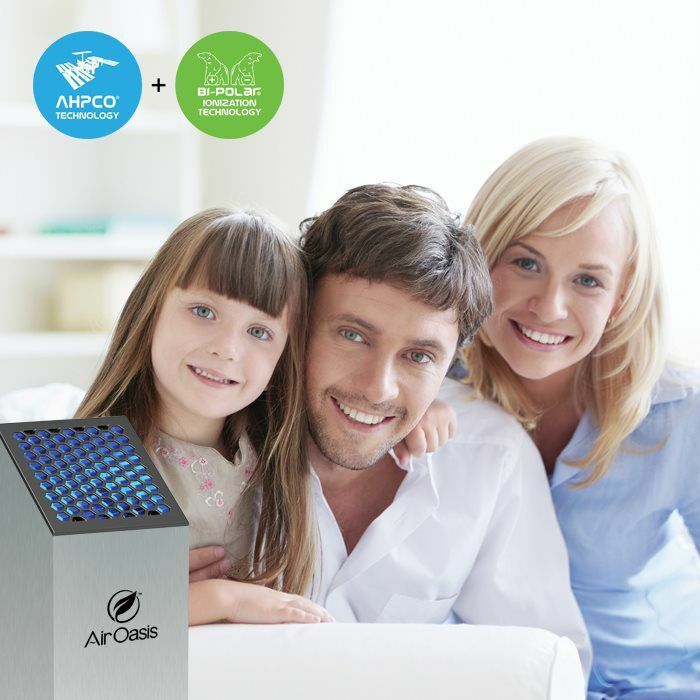 The Air Oasis Mobile Sanifier® is a small air purifier that cleans the air in areas up to 250 square feet. 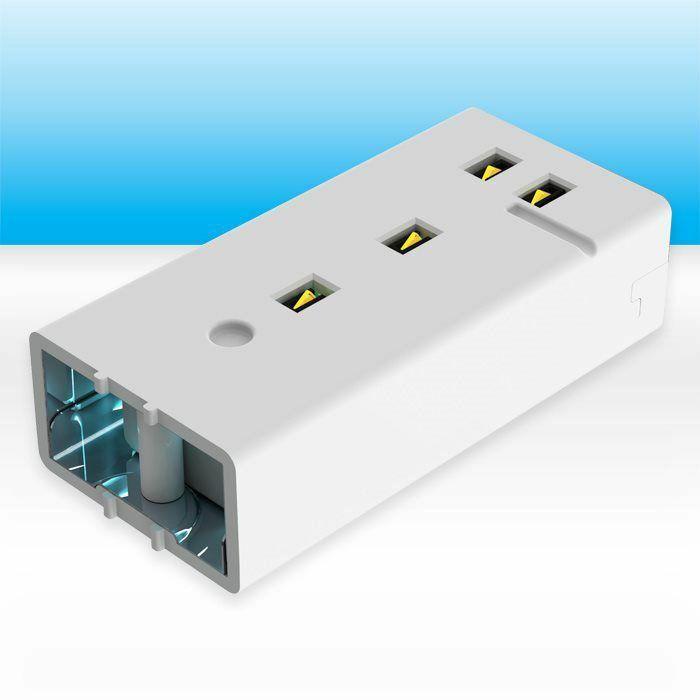 This makes it ideal for vehicles, utility rooms, bedrooms, offices, hotels, RVs, boats, and much more. This travel air purifier comes with a DC adapter, so it can be plugged into your mobile home, car, or truck. For those who enjoy traveling with pets, this unit is great for reducing odors and pet dander that get trapped within your vehicle. The Air Oasis Mobile Sanifier® is the best portable air purifier for travelers because it also eliminates the odors left behind from carbon-based allergens, cigarette smoke, and volatile organic compounds (VOCs). This unit is perfect for customers who want to improve their indoor air quality (IAQ) on the go. 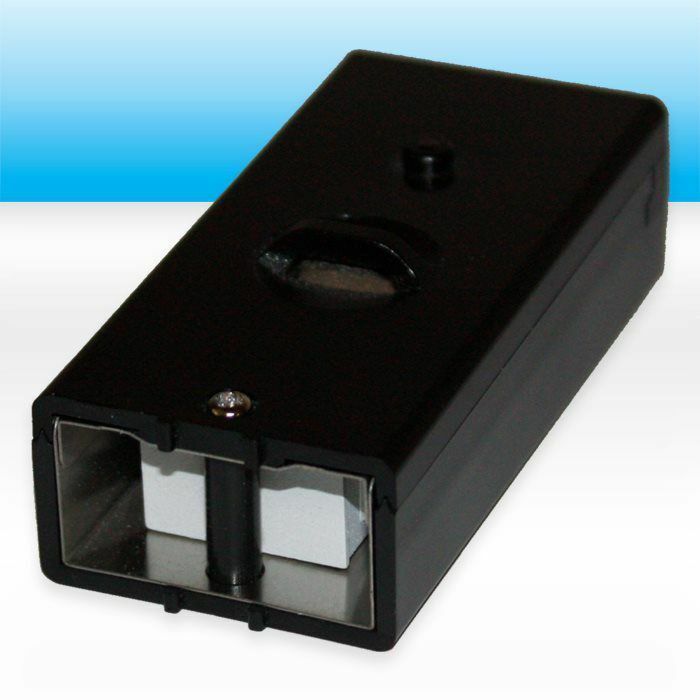 This unit can easily be used as a desktop air purifier in an office or on a countertop. It can then be moved to your car, home, or hotel room! This versatile unit comes with a padded carrying case, a DC car adapter, 100-240V wall adapter, and a mounting bracket to secure it to your car, boat, RV, and more! This portable UV sterilizer goes where you go, so you can have fresh air in all of your residential areas! The Air Oasis Mobile Sanifier® has three output settings, leaving you in total control of your air. It is very low-maintenance, and the washable stainless-steel dust guard never needs replacing. With our one-year limited warranty, you can rest assured that no parts will need to be replaced for a full year! How It Works: Our Air Oasis Mobile Sanifier® works by utilizing the AHPCO (advanced hydrated photocatalytic oxidation) technology developed by NASA and enhanced by our Air Oasis research and development team, including Dr. Jeff Bennert, Jon Bennert, and Dr. Nabarun Ghosh. The AHPCO technology works by destroying germs as they pass through UV light. The light rays then react with the AHPCO catalyst to produce catalytic molecules, which seek out and destroy odor-causing carbon-based molecules. These molecules are then converted into carbon dioxide and water-replacing harmful allergens in the atmosphere with fresh, clean air. The Benefits of a Small Air Purifier: There are many benefits to using a small desktop air purifier. The Air Oasis Mobile Sanifier® is great for clearing out common carbon-based allergens like smoke, mold, viruses, bacteria, and much more. Our units are also the best choice for getting rid of pet odors and bathroom odors and reducing MRSA in the air of hospitals and schools. Our portable air purifiers have also been proven to improve the overall IAQ of offices in old buildings, hair salons that contain harmful VOCs from chemicals, and child care facilities. Our Air Sanifiers® are durable and made in the U.S. We take pride in hand-assembling each of our units and even build many of our own internal components in-house. When you purchase from Air Oasis, you can feel great knowing that you’re receiving only the highest-quality products available. If you have any questions or concerns, simply contact us online or give us a call at 1-800-936-1764. Simple Operation: The Air Oasis Mobile Air Sanifier has 3 output settings, and 3 fan speed settings, leaving you in control of your air. Low Maintenance, High Performance: This easy-to-use filtration system simply turns on or off: There are no complicated settings to learn, filters to change, or maintenance tasks to perform. An audible alarm will indicate when the AHPCO (advanced hydrated photocatalytic oxidation) cell needs to be replaced (about once every three years). Originally developed by NASA, AHPCO technology has revolutionized the air filtration industry. In many cases, it performs better and more efficiently than a HEPA system, and you won’t need to regularly replace expensive filters. 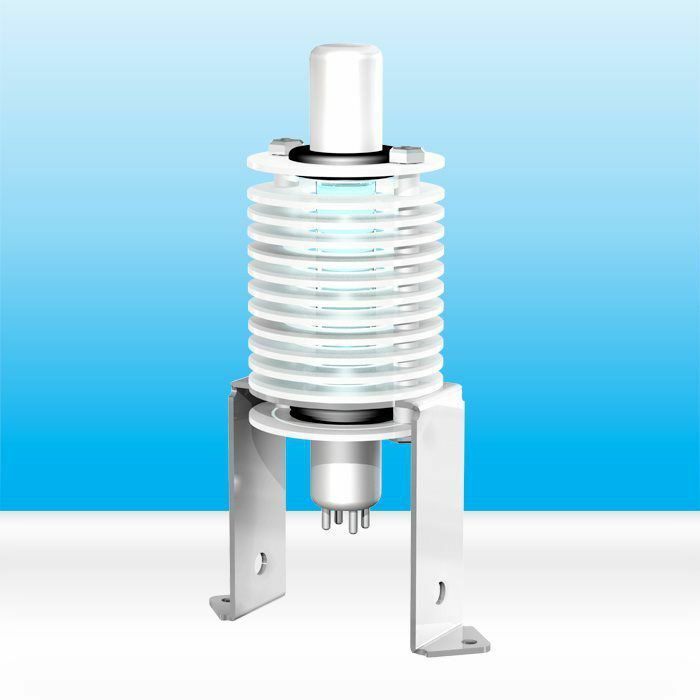 The audible alarm beeps when the lamp completely burns out, but the AHPCO cell should be replaced every two years for optimal performance, since it drops below 80% output after two years. a coverage area of up to 1,000 square feet. How It Works: Without high-powered fans or thick filters, this non filtration system uses a lamp that destroys germs with UV light. That light is reflected with the AHPCO catalyst, which produces catalytic molecules, which then, in turn, seek out and destroy carbon-based molecules. This powerful small air purifier cleans the air quickly, efficiently, and without using too much energy. We added our Bi-Polar® technology to further enhance the effectiveness of our countertop purifiers. 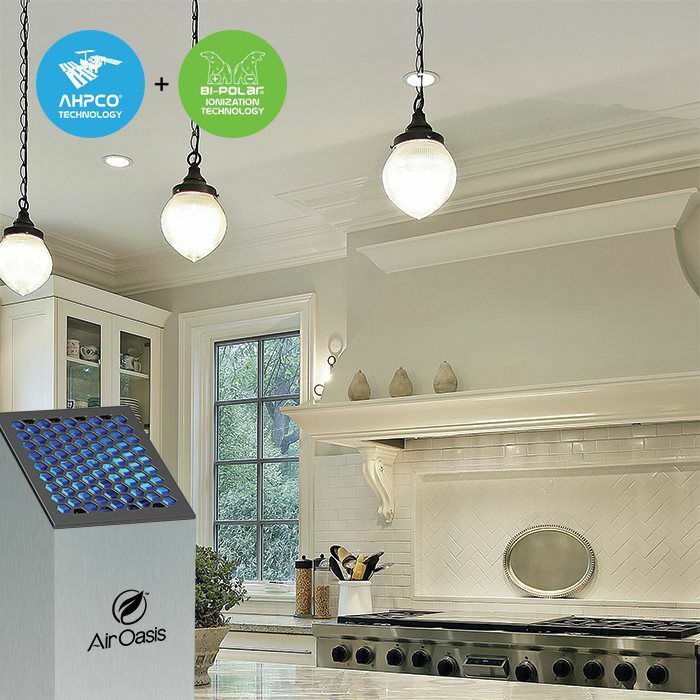 If you’re trying to create the best atmosphere for yourself, your family, or your employees, purchase a countertop Air Oasis product or any one of our Air Sanifiers®. Call us toll-free at 1-800-936-1764 and we can help you find the best indoor air quality solution for your home or business. Simple Operation: The Air Oasis 1000 G3 is simple to operate. The device turns on with the flip of a single switch. There are no complicated multiple settings to learn. How it Works: This large room air purifier utilizes 2 cutting-edge technologies, one originally developed by NASA and the other originally invented by renowned scientist Albert Einstein in the early 1900’s & enhanced by Air Oasis, to destroy carbon-based molecules that pollute the air and create odors. These carbon-based molecules include things like smoke, mold, bacteria, and airborne viruses. As a photo-catalytic air purifier, it uses a UV lamp to convert the carbon-based molecules into harmless molecules, like carbon dioxide and water vapor. Cutting Edge Technologies: Although this tower air purifier uses advanced technology to improve Indoor Air Quality (IAQ), it is easy to use and requires virtually no maintenance. 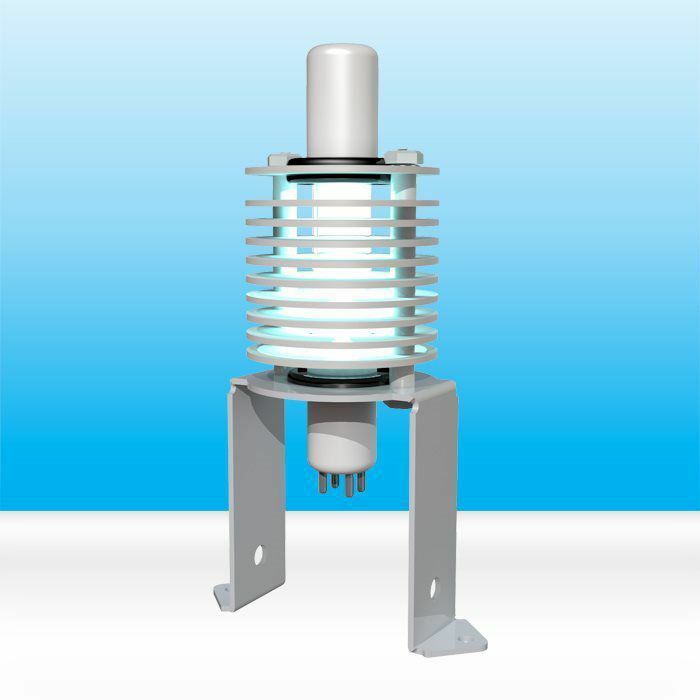 The purifier has a single switch to operate, eliminating complicated settings. Additionally, there are no filters to clean or change, which makes it practically maintenance-free. The only maintenance involved is to change the AHCPO cell every three years when an alarm alerts the user that the cell needs to be replaced. Because the purifier doesn’t use a filter system, it requires less electricity, making it more energy-efficient. The Air Oasis 3000 G3 is also equipped with our latest Bi-Polar® Ionization Technology, making it the perfect purifier, using 2 very effective technologies to rid your home or office of unwanted germs and bacteria. While many air purifiers are noisy and bothersome, this purifier is quiet and discreet, making it perfect for both residential and commercial spaces. The subtle design keeps it from creating an eyesore in the room, and the six-foot power adapter cord means that the user isn’t at the mercy of outlet placement in the room. The Air Oasis 3000 G3 is made in the U.S. and has a three-year warranty. Additional Benefits: Many homes and offices will benefit from using a tower air purifier in spacious areas because it can quickly and safely get rid of allergens in the air. Inhabitants breathe in contaminants from smoke, mold, bacteria, and viruses if the air isn’t purified. Not only will the user be able to breathe easier knowing that the air around them is clean, but using a large room air purifier will eliminate any unpleasant odors that come from pets, cleaning chemicals, smoke, mold, and more. The purifier can help to clean the air in expansive spaces up to 3,000 square feet. This is perfect for large office areas, large living spaces, homes with open floor plans, and even spaces smaller than 3,000 square feet that have high contaminant levels. It provides an easy, efficient way to purify the air in large spaces in only a few minutes. Because the Air Oasis 3000 G3 is a photocatalytic air purifier, it uses less electricity than most purifiers and devices, making it extremely energy-efficient for your home or office space. The Air Oasis 3000 G3 is the best purchase for those who wish to decontaminate the air in any large space that people live or work in. If you need a strong purifier for the car, a hotel, or mobile home, check out our Air Sanifiers® for a purifier that works on the go. Simple Operation: The Air Oasis 3000 G3 is simple to operate. The device turns on with the flip of a single switch. There are no complicated multiple settings to learn. Low Maintenance: Zero maintenance for 2 years. Replacement for the Air Angel Air Sanifier. Replacement for AOmbl175 mobile Air Sanifier.